48% bikes on Adelaide near Portland. 8:30 am Oct 2. Sunny but cool. For this count I used the Counterpoint App on the suggestion of a someone on Twitter. The data gets shared so anyone can download and do fancy stuff with it. It's a huge jump from before the cycle tracks. In the City's one and only cordon count of who travels by bike into and out of downtown, Adelaide and Richmond were very low. 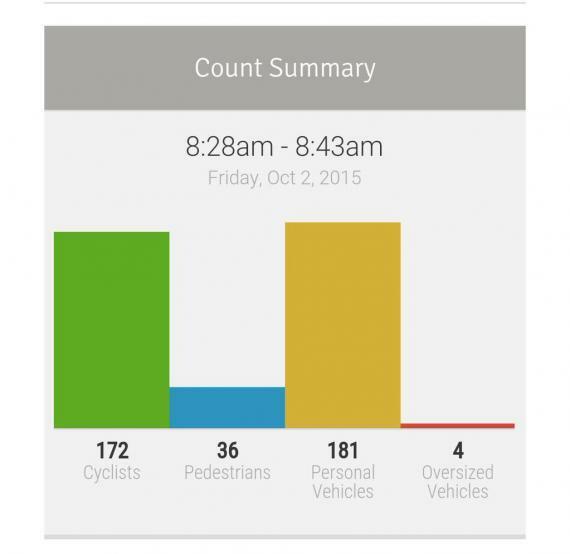 The count, which took place on late September 2010, counted 160 bikes over an entire hour at 8am on Adelaide. 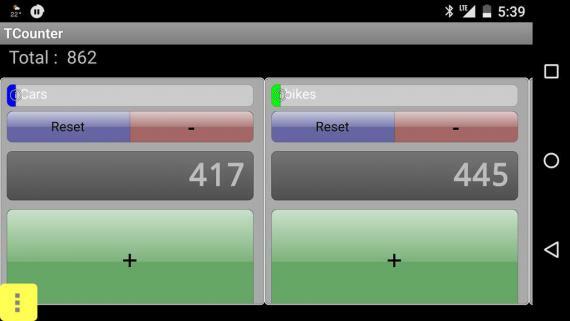 If I used my count this morning as an average for the hour, we have seen a 450% increase to 700 bikes! On Richmond the jump is even higher, from 85 bikes per hour at 5pm to 900! That's over 1000% increase! Next step: get an estimate of the 7am to 7pm bike count so I can compare the volume over the day to the 2010 cordon count. Will you be able to estimate the capacity of the RA cycle tracks Herb? My theory is that they will become congested in the medium term especially when additional feeder routes are opened (such as Railpath south). We will eventually need more East West cycle tracks. But in the short term bike parking is probably more urgent. I think it's great that more people are now taking up cycling! Looking for more data from you to see if there is indeed a significant increase/surge in number of those taking up cycling. loving the richmond lanes in the morning at 6 a.m. - but truck/car parking in them problematic - this morning from Sherbourne to Yonge - 2 trucks, three cars in that short distance.